Sounds suitably festive … It’s from Nigel Slater’s Tender Vol II. Shred the cabbage finely, then rinse and drain. Heat a couple of tablespoons of oil in a large saucepan, roughly dice the pancetta/bacon and add to the pan, letting it colour lightly. Add the chestnuts, continue cooking for a few minutes, then add the drained red cabbage. Expect it to hiss and pop. Turn the cabbage in the fat and cover with a lid. 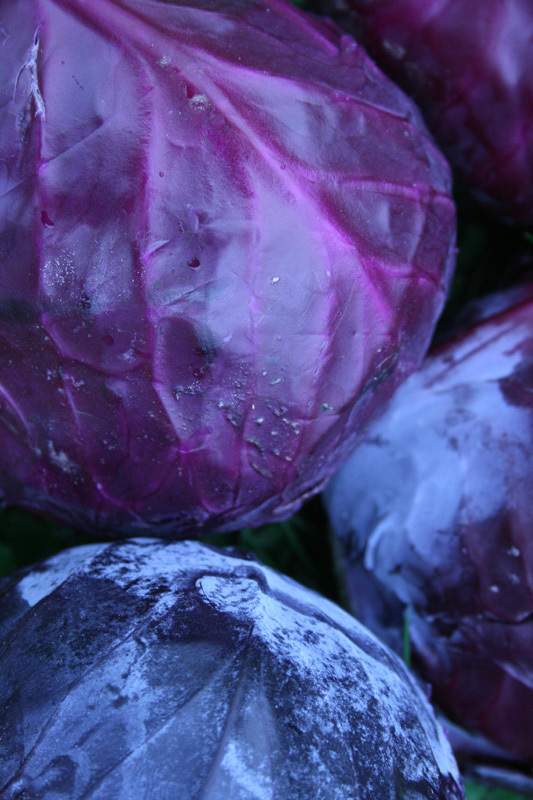 Continue cooking over a moderate heat for seven or eight minutes, until the cabbage has wilted slightly. Add the sherry, a little salt (depending on how salty the bacon is) and leave until almost evaporated. Serve immediately.